Did you know that the mouth contains over 800 species of bacteria, fungi, and viruses? The mouth is not a sterile place and can never be sterile because, after all, there are beneficial bacteria and harmful bacteria. In order to optimize oral health, the harmful bacteria need to be kept at the lowest level possible because they can cause gum disease. Gum disease can come in two forms. The most common gum disease is gingivitis. Gingivitis results from accumulations of plaque and tartar around the teeth and can lead to redness, inflammation, and bleeding of the gums. Thankfully, good oral hygiene and regular professional dental care can cure gingivitis. The other form of gum disease is more severe and is called periodontitis. It destroys the bone that supports the teeth. The bone loss leaves behind a space between the tooth and the gums called a gum pocket. The gum pocket is an environment where harmful bacteria can thrive. If allowed to progress, periodontitis results in receding gums, deepening of gum pockets, foul mouth odor, tooth mobility and eventually tooth loss. The problem with having periodontitis is that you may not know that you have it. Periodontitis does not necessarily hurt—like a toothache—and so many people are not aware that they have periodontitis. 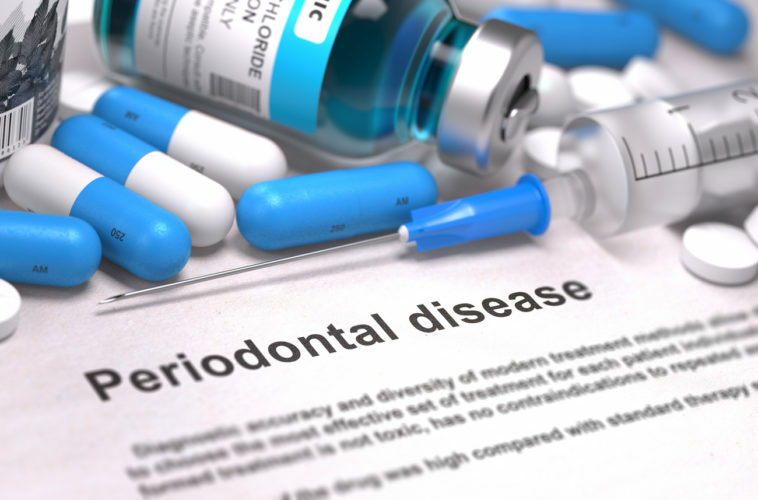 It is alarming but nearly 50% of Americans over the age of 30 have destructive periodontitis. If your gums bleed when you brush or floss, or your teeth are loose, or you notice that your gums are receding, then chances are you may have periodontitis. Periodontitis can be treated and even prevented through good oral hygiene and periodic professional dental care. Thankfully periodontitis can be treated and even prevented through good oral hygiene and periodic professional dental care. Regular expert care for people with periodontitis means a professional cleaning every three months. 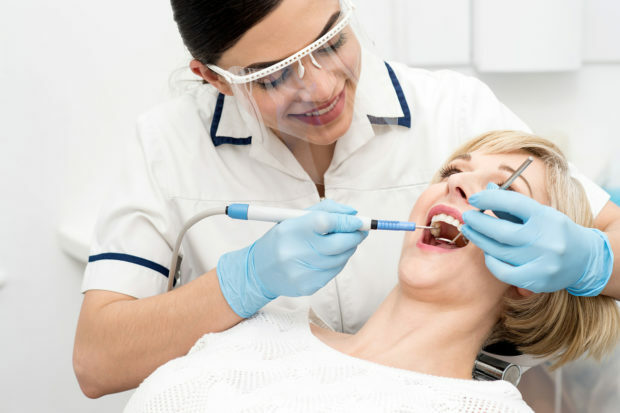 Professional treatment involves deep cleaning of the teeth and gum pockets. In severe cases, people may require gum surgery. But sadly gum surgery has been considered painful and expensive, and so 97% of those in need do not receive proper care. Technology has come to the rescue and changed the way dentists treat periodontitis. New pain-free laser treatments are now available that accomplish something that was never possible before: elimination of bacteria in the gum pocket. Previously, killing bacteria in the gum pocket was only possible by using antibiotics or cutting the gum away surgically. The laser now makes it possible to reduce or eliminate the bacteria that cause periodontitis significantly and in the process, prevent periodontitis from getting worse. NdYAG lasers set on specific settings are pigment selective and can accurately target and remove more pigmented harmful bacteria making the treatment safe and effective. The impact of untreated gum disease goes well beyond the mouth. It is linked to heart disease, diabetes, stroke, and certain cancers. A spring cleaning at your dentist can rid your mouth of the bacteria that cause periodontitis and allow you to PreserveYourTeeth!